There is something about a shapeshifter—a person who can transform into an animal—that captures our imagination; that causes us to want to howl at the moon, or flit through the night like a bat. Werewolves, vampires, demons, and other weird creatures appeal to our animal nature, our “dark side,” our desire to break free of the bonds of society and proper behavior. Real or imaginary, shapeshifters lurk deep in our psyches and remain formidable cultural icons. 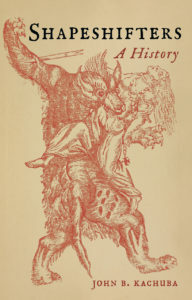 The myths, magic, and meaning surrounding shapeshifters are brought vividly to life in John B. Kachuba’s compelling and original cultural history. Rituals in early cultures worldwide seemingly allowed shamans, sorcerers, witches, and wizards to transform at will into animals and back again. Today, there are millions of people who believe that shapeshifters walk among us and may even be world leaders. Featuring a fantastic and ghoulish array of examples from history, literature, film, TV, and computer games, Shapeshifters explores our secret desire to become something other than human. In the 18th century, members of the Dudley family settled in the deep woods of the Dark Entry Forest in northwestern Connecticut. Only a century later, Dudleytown was a ghost town with nothing left in the encroaching forest but cellar holes. Legend has it that the Dudleys were descended from a family in England that came to a bad end and that a curse followed them to America, a curse that drove residents of the settlement to murder and suicide. In 1989, Sandy Lawrence, fleeing her abusive boyfriend, is given the use of her friend’s house in Dark Entry, one of the few homes in the isolated forest. 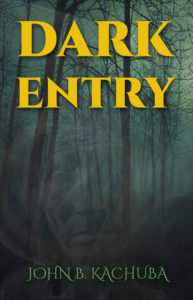 She is unaware of the legends about Dark Entry but soon discovers the horrifying truth—something evil is alive and well in the deep woods, something intent upon murder. What began as a peaceful retreat from her domestic troubles now becomes a terrifying fight for her life. Set in 17th-century New England,The Savage Apostle recounts the escalating tensions between English colonists and the Native population, tensions arising from racial and religious differences. When the body of Christian Indian John Sassamon is recovered from an icy pond, the fuse that would ignite a bloody war is lit. 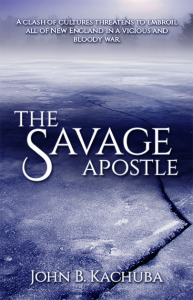 Although the events in The Savage Apostle took place almost 400 years ago, the story remains relevant for today’s world in which racial and religious intolerance is causing so much divisiveness. That is why I have included a Discussion Guide in the book for teachers and book clubs. I am offering a free “chat with the author” via Skype for any teacher using The Savage Apostle in class, or to any librarian conducting a book club about the novel. Contact me if you are interested in a virtual discussion. 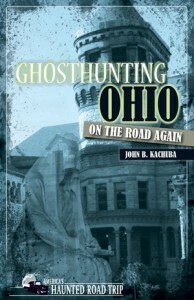 On this leg of author John Kachuba’s haunted road trip you’ll explore the scariest spots in the Buckeye State. Kachuba visits more than 30 legendary haunted places, all of which are open to the public—so you can test your own ghosthunting skills, if you dare. 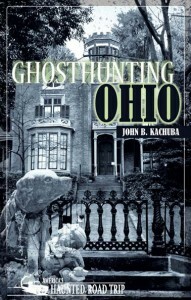 .Enjoy Ghosthunting Ohio On the Road Again from the safety of your armchair or hit the road, using the maps, “Haunted Places” travel guide with 50 more spooky sites and “Ghostly Resources.” Buckle up and get ready for the spookiest trip of your life. Why do ghosts fascinate so many people? 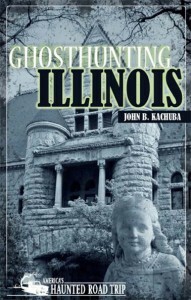 To answer that question, writer and paranormal researcher John Kachuba aka “The Ghosthunter” investigates haunted locations throughout the country and interviews scores of people who have had paranormal encounters. The author discovers a growing interest in ghosts today, which has spurred an American pop culture phenomenon based on the supernatural. -A ghost hunt in a Connecticut coffee shop with lay religious demonologist David Considine. -Spending the night with the ghost of Miss Lily at St. Augustine, Florida’s historic St. Francis Inn. -Spiritualist minister Rev. Rose Vanden Eynden’s abilities to talk with the dead. -The search for the headless inmate on a ghost hunt at West Virginia’s Moundsville State Penitentiary. 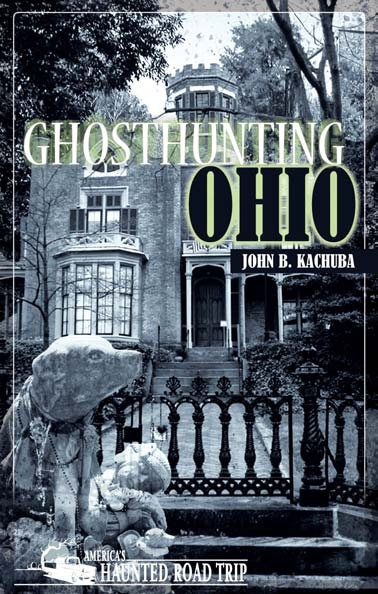 Author John Kachuba bravely visits more than twenty-five haunted places in Ohio to give readers first-hand frights from the safety of their armchairs. For readers curious — and courageous — enough to “hunt” on their own, maps and travel information are provided to every haunted location. • Old State Capital, Springfield — Lincoln lay in state here before his burial in Oak Ridge Cemetery. Could his ghost haunt the spot where his body lay? • Harpo Studios, Chicago — When the Eastland steamer capsized in 1915, the building served as a temporary morgue. Oprah’s employees have encountered the ghosts of the victims, including the “Gray Lady” who floats through the halls. • And many more scary sites. Maps and travel information are provided to every haunted location for those brave enough to make the journey in person. Why is this Job Killing Me? Work Smarter, Work Healthier! What you don’t know about your workplace could kill you. What you learn in this book could save your life. – How to prevent back injuries, sprains, strains, inflammations, and dislocations. It’s all here in the book that offers real solutions for real problems that affect you on–and off–the job. You’ll find practical–and legal–know-how, suggestions for employers, a complete list of occupational health resources with addresses and Web sites, and more. 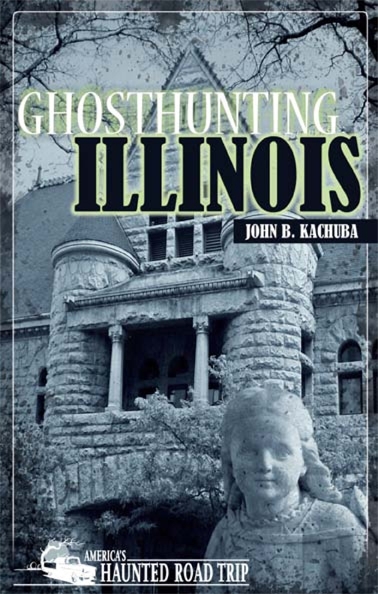 Ghosthunters and students of the paranormal will find intriguing the four original stories in Ghost Stories by John Kachuba. These stories are not the scary—and cheesy—stories of terror, violence, and gore found in cheap novels and B-movies. Based on his own experiences as a ghost hunter, Kachuba’s stories are something new in paranormal fiction. You might call them stories for the “thinking man” (and woman!). These stories will challenge your ideas about spirits, ghosts, and haunted locations. Ghost Stories is a must-read for your paranormal bookshelf. Women of the Way is an inspirational historical novel that recounts the stories of three women in first-century Palestine that find their lives transformed when they meet an enigmatic, itinerant rabbi from Nazareth named Yeshua. Miriam is a widow of independent means, defamed as a harlot and shunned by the villagers of Magdala precisely because of her independence. Joanna is a patrician woman and wife of Chuza, King Herod’s chief steward, who finds herself subjected to the unwanted advances of Philip, Herod’s nephew. Hannah, the Homeless One, is a young orphan roaming from village to village, barely able to keep herself alive. The words and deeds of Yeshua draw the women to him. But Palestine is a volatile land where Roman rule and Jewish nationalism are on a collision course. Women are not treated as equals to men—despite Yeshua’s egalitarian views; feminism is centuries away. As Yeshua’s popularity increases, so do the numbers of his enemies and the women find themselves in mortal danger as they spread the teachings of the Way. Drawn from Bible stories, Women of the Way blends adventure with spirituality, and history with religion to create a thought-provoking and moving book. There are consequences of war that remain hidden, buried deep within the minds and hearts of not only the soldiers, but those who wait for them, those who may be many miles removed from the front lines. In two volumes, There Comes a Season tells the stories of some of these people, such as the jaded newspaper reporter who is shaken to his core by the massacre of Lakota Indians at Wounded Knee in 1890; or the personal photographer of Adolf Hitler, who fears for his Jewish wife in 1930’s Germany; or the young man who faces being drafted to fight in Vietnam. Here, also, is the story of the WWII infantryman who returns to Anzio, Italy only a few years after the war to find out why he didn’t die there; the African-American Vietnam vet who returns to an America that has no use for him; the New York deli-store owner who feels threatened in the wake of “9-11,” and the man who is haunted by the memory of his brother, a U.S. Marine who committed suicide in Iraq. Yet, There Comes a Season remains hopeful that, through stories such as these, we may know that war is never the answer.